What is the price system? The price system helps to coordinate global economic activity and acts as a signal for shortages and surpluses. This helps firms and consumers respond to changing market conditions. Trade increases competition, lowers world prices and breaks down domestic monopolies. 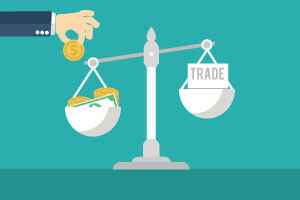 This course, Microeconomics: Price and Trade, will teach you everything you need to know about these essential processes. This course will first introduce you to the price system. You will learn that a price is a signal that conveys information, and you will discover how markets are linked all over the world. The course will teach you that markets collapse huge amounts of relevant information into a single number called the market price. You will look into the prediction market and learn that prices in futures markets can provide signals for future events. Next, you will look into price ceilings and price floors. You will learn that when the quantity of goods demanded exceeds the quantity supplied, a shortage will result. You will look into the three benefits of trade and study about tariff and international trade. You will also learn that imports are paid for with exports and that economic growth reduces child labor. This course, Microeconomics: Price and Trade, is very helpful not just for business entrepreneurs who are in the trade industry, but also to individuals who are strongly inclined towards the economic activities facing the world today. This course is the second in a series of four courses on Microeconomics and if you have finished studying the course Microeconomics: Supply, Demand, and Equilibrium, now is a good time to take this course! Explain the price system and define prices. Discuss how markets link people and places. Define speculation, futures, and predictions markets. Explain how prediction markets can help businesses, governments, and scientists. Define a price ceiling and a price floor. Explain the unintended consequences of price ceilings. Explain why governments enact price controls and discuss how price controls relate to communism. Discuss the benefits of trade and define protectionism, tariffs, and quotas. Explain the common arguments against international trade.